Gift of Ruth Pulwer, niece of Frank D. Levy, January 2003. The collection is organized in two series: Diplomas and Certificates, Photographs. Frank David Levy was born in Philadelphia on May 2, 1894, the second oldest of five children of an immigrant family that came from Poland in the 1890s. After graduating from Southern High School in Philadelphia, he attended the College of the University of Pennsylvania for two years before entering the Medical School. At Penn he was a member of the Flexner Medical Society and the Phi Delta Upsilon social fraternity. After earning his M.D. in 1917, he had his internship at the Philadelphia General Hospital for one year from 1917 to 1918. After serving as an army doctor during WWI, Levy returned to Philadelphia for private practice after the war. Later he became a doctor for the City of Philadelphia Board of Health, a position he held until his retirement. Levy, who never married, lived with his two unmarried sisters. His contributions to the University of Pennsylvania included service on the New York-Bronx-Manhattan Wharton Alumni Committee from 1949 to 1950. He died in Philadelphia on September 28, 1982. These four items relate to Frank David Levy’s years as a medical student at the University of Pennsylvania and as an intern at Philadelphia General Hospital. 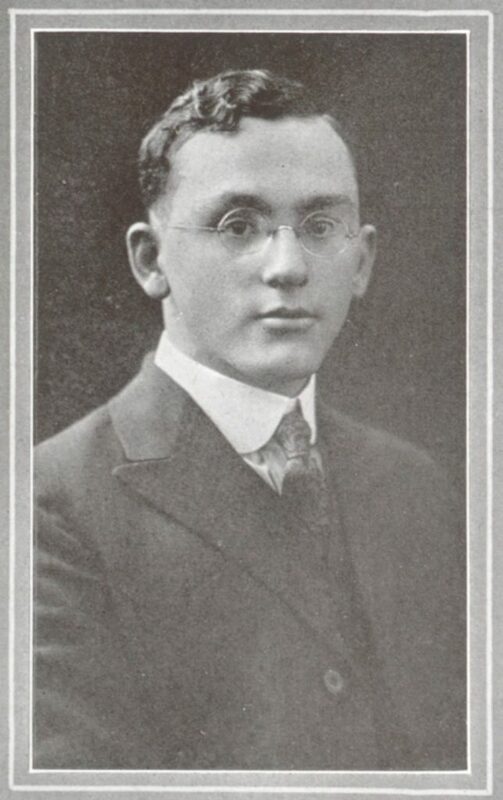 Frank David Levy, as identified from his Medical School yearbook photograph, is included in the two group photographs.